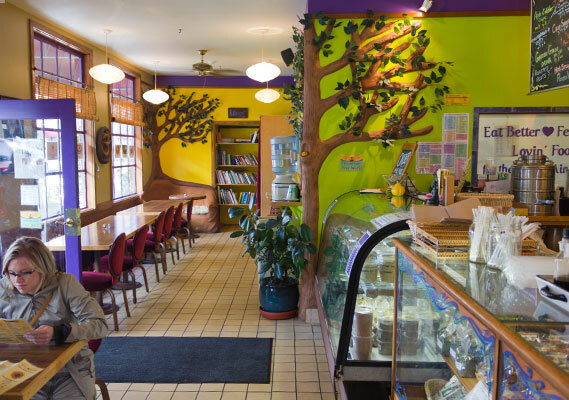 With an exclusively gluten free and vegan menu, Lydia’s Organic Kitchen has to be the healthiest spot in downtown Petaluma. 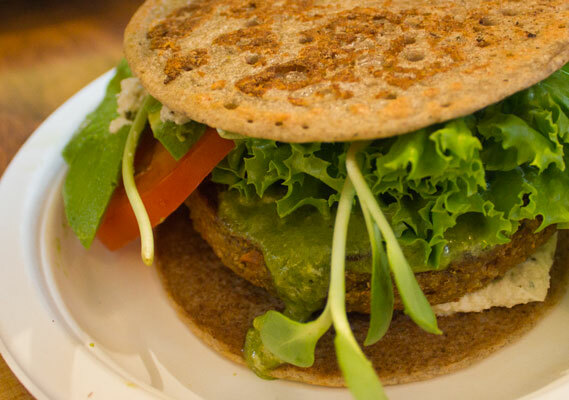 On the menu are lunch items like buckwheat crepes filled with Mediterranean vegetables, veggie burgers served on a buckwheat “blini” (flat bun), Indian curries and Nori rolls. 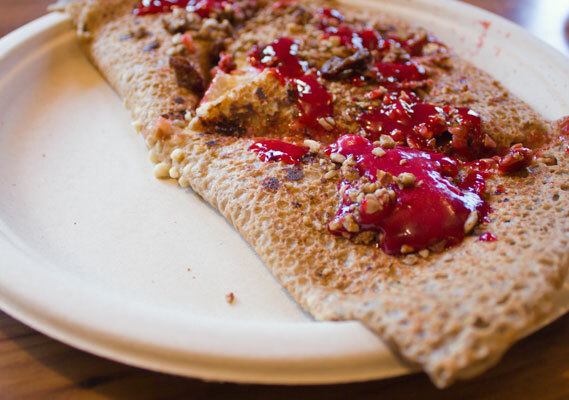 For dessert: a variety of delightful gf/vegan pies and chocolate bonbons may tempt you, but I opted for the apple cinnamon crepe which unsurprisingly brought tears of joy to my eyes. Lydia’s also sells a number of gluten free packaged products like organic crackers, kale crunchies, dips and bulk items that can also be found at specialty grocery stores nationwide.